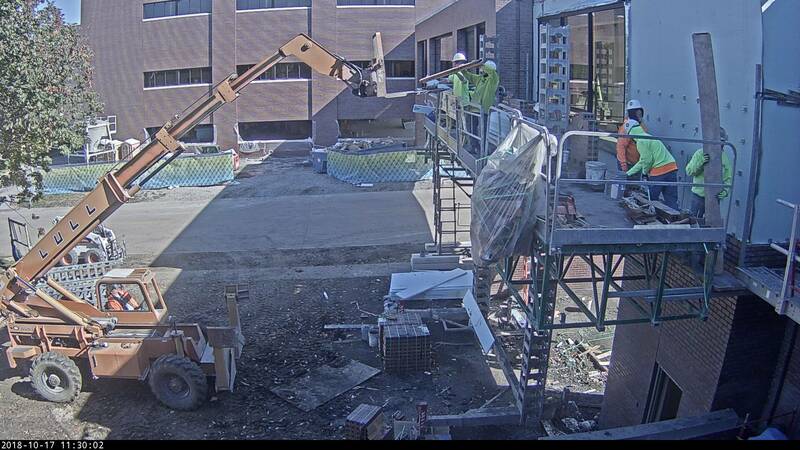 LRS Campus Expansion Updates | Levi, Ray & Shoup, Inc. The decision’s been made! 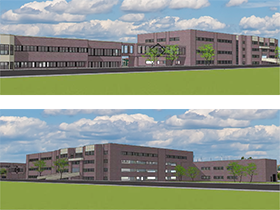 LRS is happy to announce that we are moving forward with our expansion plans to the main LRS campus in Springfield. The plan is to tear down some of our older office buildings, and replace them with a new single structure that incorporates office space and a parking garage. The new structure will consist of two levels of office space totaling 58,000 square feet. It will accommodate 185 offices and work stations, an 84 seat auditorium / learning center, 2 computer laboratories, an A/V studio, 9 meeting / conference rooms, and support spaces designed to encourage collaboration. It will also include accessibility to the main building via a skywalk over Mountcastle Road. The levels below the office space will consist of 101,250 square feet of parking that will accommodate 237 cars. A two story, 11,200 square feet support structure for our maintenance equipment and storage will also be part of the project. This structure will be constructed in the same style and materials as the new and existing office buildings. Lastly, the southeast portion of the site will be landscaped open space. With nearly one acre of land, we hope to create an area that employees can use during their free time for quiet reflection, and we also hope to incorporate walking / jogging paths for employees. Demolition of the old buildings began on June 28, 2017. It‘s estimated that construction will take 18 months. When the dust settles, the LRS Springfield campus will consist of five structures comprising a total of 164,000 square feet of office space and 174,000 square feet of parking garages. Our goal with this project is to provide an even better work environment for our employees and also burnish LRS’ image, both locally and worldwide, as an attractive place to work.